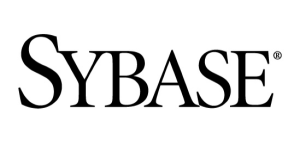 21st February, 2008 – Sydney, Australia – Sybase, Inc. (NYSE: SY), a leading enterprise infrastructure and mobile software company, today announced that Gamma Solutions Pty Ltd has joined Sybase’s Australian channel program. Gamma Solutions will market Sybase’s enterprise mobility solutions to the transport and logistics, retail and healthcare industries. Melbourne-based Gamma Solutions was formed in 1992 and has offices in Sydney, Brisbane, Adelaide and Perth. The system integrator specialises in data capture hardware and software. The company’s solutions vary in complexity from simple programs for bar code readers to sophisticated implementations involving wireless infrastructure. Customers include Toll Autologistics, International Energy Services, P&O Ports, Amcor, Mitre 10. Sybase’s mobility technology will complement Gamma Solutions’ existing mobile computing and wireless infrastructure solution portfolios. At the heart of this partnership will be Sybase Afaria®, a mobile device management and security solution, which provides control over a host of key management and security functions to any mobile device. Run from a central web-based console, Afaria enables IT staff to enforce security policies, and manage encryption for email, password recovery, and over-the-air software distribution. In addition, Gamma Solutions will market Sybase RFID Anywhere™, a flexible, SOA-based RFID (Radio Frequency Identification) platform, and SQL Anywhere®, an easily deployable mobile database. “Today’s businesses are going increasingly mobile, with field staff, remote branches or new procedures in the warehouse environment,” says Steve Dolan, Director Channel and Alliances, Sybase Australia and New Zealand. “Together with Gamma we will deliver solutions that meet the business requirements of emerging mobility projects, enabling companies to increase efficiencies in the supply chain and secure mission-critical tasks performed by a mobile workforce. “We are thrilled to be partnering with Sybase,” said Michael Atallah, Managing Director of Gamma Solutions. “Through this partnership we will be able to offer a new range of products and solutions to our customers, addressing the demand in growth sectors such as logistics & transport, retail and healthcare for secure, manageable and reliable mobile enterprise solutions.